So, why wait for the financial year to end as an investor could use this time to give a start to his/her investment portfolio. Here are the four portfolio building strategies that could lead your way towards the goal. 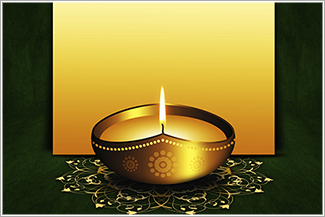 Diwali is an auspicious time when Indians dive into the festivities. People are all indulged in buying home decor items to assets. So, why wait for the financial year to end as an investor could use this time to give a start to his/her investment portfolio. Here are the four portfolio building strategies that could lead your way towards the goal. Diversification: Creation of a stock portfolio begins with asset allocation. All of your investments could not go into a single asset like equity or debt. Because it will mean over-exposure or under-exposure to risk potentially affecting your returns. An optimal portfolio finds balance between equity, debt, commodity, real estate, forex etc. A portfolio should neither be over diversified nor under diversified as in both the cases it will impact the returns. Dividing within assets: Once you have ascertained the percentage of your investments into each asset, it is time to further classify among those assets. This means that all of the equity related investment will not go into a particular sector. So, you have to further divide the investible amount into sectors and instruments under equity and debt category. For example, you could decided to divide your surplus among different sectors like infrastructure, finance, pharma etc. Similarly, in debt funds, you have to choose the percentage that will be distributed among gilt funds, short term bonds or long term bonds. Picking Stocks and Funds: Once you have zeroed down on the sectors and debt instruments, you could go ahead to choose a stock or fund that relates to your selected assets sub-classification. For example, you could pick ICICI Bank or HDFC Bank under finance category in equities. The same applies to picking a specific instrument under debt sub-category too. Reviewing and Tracking: Once you have invested in the portfolio, it is important to keep it under track. A portfolio left unattended carry high risk. During review, you could identify certain stocks that are outperforming, while there would be some which are losing track. Therefore, its important to adjust your portfolio to retain the best ones and eliminate the non-performers.